The thyroid is a gland in your neck in charge of producing a hormone that helps regulate many functions of the body. Some people can develop an autoimmune disease, called Graves’ disease, that targets this gland, causing too much thyroid hormone to be produced. It is more common in women, and there is thought to be some genetic relationship. The most common presentation includes hyperthyroid symptoms such as restlessness, hair loss, heart palpitations or fast heartbeat, feeling tired all the time, weight loss, increased sweating, and feeling hot all the time. However, even thyroid disorders that produce insufficient thyroid hormone, such as hypothyroidism, can affect the eyes. Fortunately, most patients with thyroid problems will not experience any eye problems. But around 10 percent will be affected enough to require urgent surgery to restore their vision. In these individuals, Graves’ eye disease causes the muscle and fat behind the eye to swell and get bigger, causing the eye to start protruding out. This gives patients “buggy” or “staring” eyes. And the eyes and lids can become red and puffy. In some thyroid disorders such as Graves’ disease, the autoimmune system attacks the eye muscles and connective tissue behind the eyes. This is because the surface proteins in the eye socket resemble the proteins in the thyroid gland. The eye socket tissues become inflamed. However, the eye disease and the thyroid disease do not directly cause one another. Treatment of the thyroid disorder is important, but it does not improve the eye disease. Most people go into the doctor for the general symptoms of Graves’ disease and thyroid eye disease is found on the same visit, if it is severe enough to be easily noticeable. However, some of the signs of thyroid eye disease can be subtle and overlooked. If you suspect that you may have thyroid eye disease, schedule a consultation with board-certified oculofacial plastic surgeon Dr. Vivian Schiedler right away. During the consultation, she will examine your eyes in detail. This includes an evaluation of reading vision, color vision, whether each eye is seeing equally, discrepancies in eye movement, position of the eyes, swelling or inflammation around the eyes, and whether there is any optic nerve compression. Individuals in whom Graves’ disease is suspected might need additional testing to diagnose the disease. If the eye is affected, it is important to have extra tests to rule out other causes, like tumors. Normally, thyroid eye disease will improve on its own in two to three years. However, it is important to be evaluated early to minimize disabling problems with your vision. Those most at risk for developing severe eye problems due to thyroid disease include older men and those who smoke. This helps reduce morning swelling around the eyes. Lubricating dry and irritated eyes will usually bring some comfort, as the eyes are designed to be wet. Dry eyes can happen in patients with Graves’ disease, as the eyelid is unable to cover the eye surface with every blink. They might also sleep with their eyes open. This is another way to reduce some of the swelling in the eye socket. Increased sodium intake can lead to fluid retention. Most of the time this fluid goes to tissues that are already inflamed, like the eye socket. While most cases can be managed with supportive and comfort measures, there might be a possibility that surgery or radiation might be required. In cases of optic nerve compression or vision loss, orbital decompression surgery will relieve the pressure off the vision nerve. Another possible treatment option entails removing bone and/or fat around the eyes in order to improve symptoms. It is natural to feel overwhelmed with all the options, but Dr. Schiedler will go over every option with you to come up with the best one. Scientists are working on new therapies that could be available in the near future. One of these is teprotumumab, an intravenous infusion of an antibody that targets insulin growth factor. It is a targeted medication that shuts down the inflammation behind the eye quickly. Great promise has been shown in early research on patients with thyroid eye disease. If the eyes become severely affected by thyroid eye disease, rehabilitative surgery is best accomplished in stages. The first step would be eye socket decompression to improve the position of the eyes. Secondly, muscle surgery may be required to align the eyes. Finally, eyelid surgery will help tight eyelids regain their function and close completely over the eye. If you are seeking treatment for an eye disease, such as thyroid eye disease caused by Graves’ disease, it is imperative to entrust your care to the best. 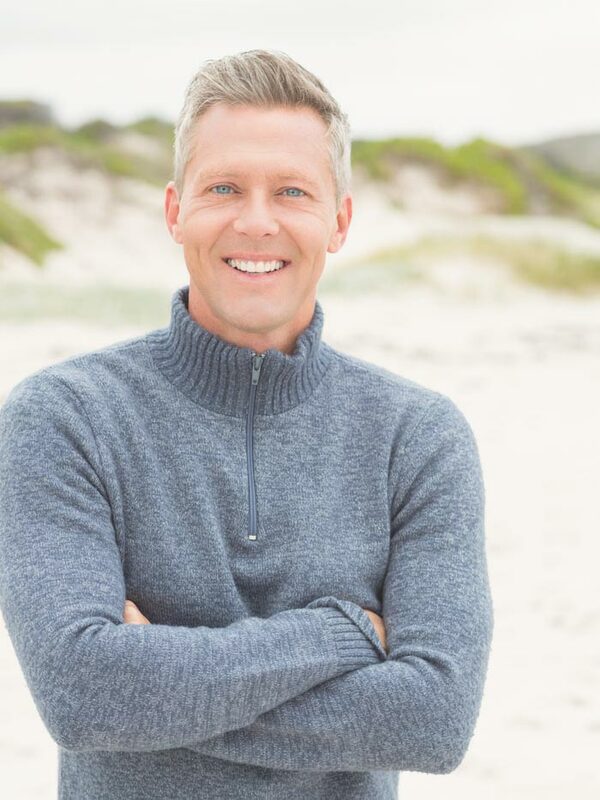 Dr. Schiedler uses precise care and a meticulous approach to help you find the relief and results you deserve. For patients with mild thyroid eye disease, the symptoms usually get better in two to three years. However, severe cases may take years simply to stabilize the thyroid function and go through all the surgeries. However, trusting the experts at Oasis Eye Face and Skin can decrease the recovery time and improve the odds of great results. If you’ve been diagnosed with Graves’ disease and suspect your eyes are being affected, don’t wait any longer to get your eyes examined. Find out if you have any risks for developing thyroid eye disease and what to monitor in your vision. The best time to treat an eye disease is before it becomes severe. Contact Dr. Vivian Schiedler at Oasis Eye Face and Skin and schedule a personal consultation to discuss and evaluate your eyes. Call 541-500-0165 today.